The benefits of building a strong online review profile are irrefutable…Online reviews not only provide a unique opportunity to foster guest relationships post check-out, but have also been proven to deliver higher profits to accommodation providers. 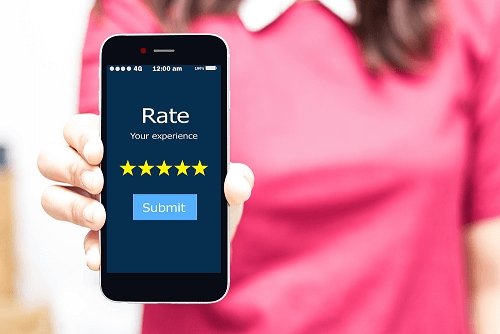 We discussed this in more depth in a recent blog article on the benefits of getting online customer reviews for your business. Now, we would like to explain how to respond to Google reviews and the benefits of responding to the reviews your property receives. Further supporting Google’s high-regard for reviews, a recent update to the knowledge panel displayed in local search results now sees a collation of reviews from a variety of sources, not just those from within the Google platform. Consequently, all reviews that your guests post on TripAdvisor, Booking.com, Expedia, Agoda, Hotels.com etc., are all viewable from the local search results page. This includes your responses (or lack thereof), making it very easy for future travellers and potential guests to make a judgement about how committed you are to customer service (or not). It can be a bit of minefield however, to find the ‘correct’ response so when considering how to respond to Google reviews, the first thing to do is to approach it with a cool head! According to TripAdvisor, there is a direct relationship between responding to reviews and increased hotel occupancy rates. In fact, a recent study showed that businesses which responded to at least half of their reviews, grew their bookings “at more than twice the rate of [businesses] who ignored their reviews”. Another study that analysed Yelp leads, also revealed a positive correlation between responses to reviews and a business’s ability to achieve incremental revenue. Showcasing your guest reviews and your responses to those reviews on your website will greatly influence the likelihood of your web users converting from ‘lookers to bookers’. Lucky for you, TrustYou has the tools to allow you to do this effortlessly. Connecting with the TrustYou platform via HiRUM Anywhere will provide your ‘lookers’ with all the information they need to make a booking without navigating away from your site. Respond promptly: By responding to a customer review in a timely manner, it indicates to the potential guest that you pay attention to your customers and value their feedback. By showing that you care about their experience, it will leave a lasting positive impression on them. Address complaints: By addressing any complaints, this reassures the reviewer that their review/feedback is taken seriously and shows you are willing to resolve their complaint. You can address a complaint by simply saying ‘Your feedback is important to us and we will use it to look at areas for improvement in our hotel/resort’, and then continue to state the steps you will take to resolve the issue. Be professional and polite: This is extremely important when writing your response as it will be displayed as ‘from the owner’ and visible to everyone with internet access. Viewers of the reviews will see this as a direct reflection of your business and its brand, so when considering how to respond to Google reviews make sure it conveys values you are proud to uphold. All in all, it’s very difficult to win an argument with a frustrated customer, but that shouldn’t be your end goal. When considering how to respond to Google reviews on your hotel, remember that it is all about showing future potential guests (who may be browsing through your reviews) that you are committed to customer service. By following the tips above you will display a genuine concern for your guests and increase your likelihood of turning ‘lookers into bookers’. We understand that life as a property manager is very busy, and sometimes you might not have time to respond to guest reviews. That’s where our HiRUM Marketing team can help! We will manage your Google reviews for you, responding to positive reviews and helping you respond appropriately to negative reviews. If you’d like more information about our HiRUM Marketing Reach Program click here or email us at sales@hirum.com.au. It’s time to take control of your business on Google.